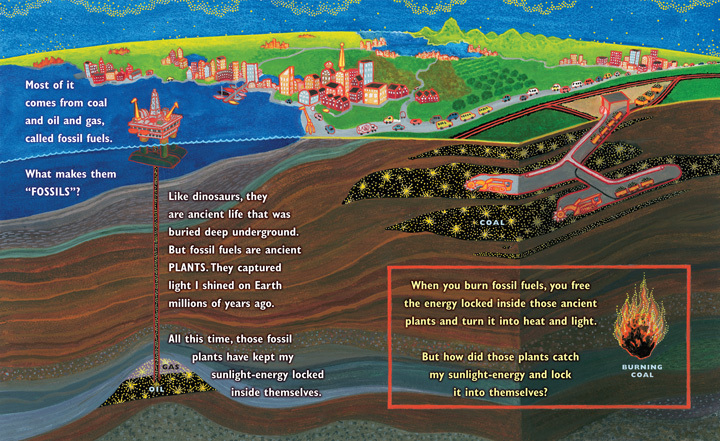 Buried Sunlight: How Fossil Fuels Have Changed the Earth helps us unpack what fossil fuels are, how they came to be, and how using them is changing the earth. The gorgeously illustrated book ends with uncertainty and a choice. What will happen to the earth and its inhabitants if we continue rapidly burning fossil fuels? Or will we choose to change the way we live?